Today, we decided to review MyWebsite Site Builder offered by the 1&1 hosting company. 1&1 offers powerful web hosting from $0.99 per month. 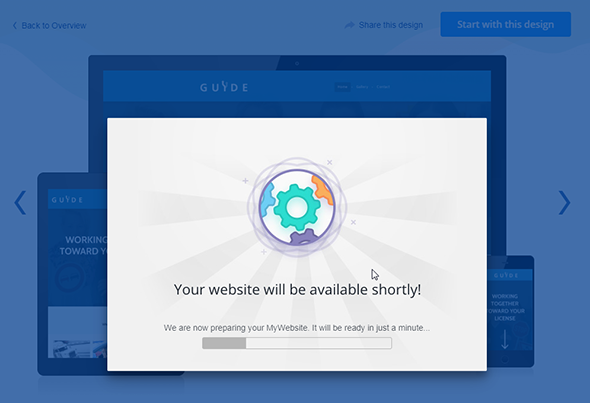 You can use their services to launch your own successful website within minutes, setup them in 55 seconds via a scalable, fast and secure interface, and even easily design your own WordPress website. Moreover, they offer Microsoft Office tools so you can work from anywhere with Office 365, enhanced by 1&1 and professional email addresses that match your domain. First of all, the price starting at $0.99/month gets you a domain and email address (in the Basic and Plus packages). You will also have access to powerful marketing tools for increasing your Google rankings and even regular customer newsletters. All the websites created via the website builder are responsive and come with dedicated business apps. There are three packages you can choose from: Personal, Basic and Plus. 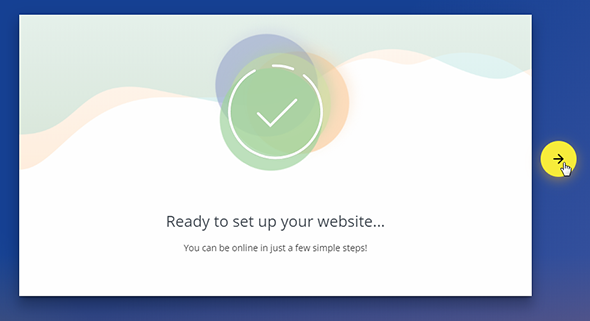 All the packages include access to the website builder which has an easy drag & drop editor, lets you create an unlimited number of pages and also comes with basic SEO settings, a blog, a backup and restore function and quick launch so you can be online in just 5 minutes. You have plenty of domains to choose from (com, net, org, info, biz, online) and your email address will match your chosen domain. SSL Wildcard certificate is included. Also, no need for any coding knowledge! 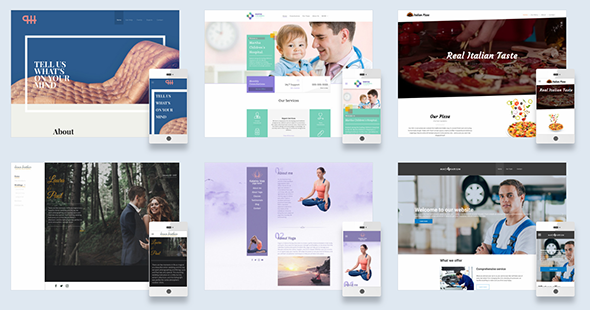 The website builder has plenty of templates to choose from and comes with an additional access to over 20 million professional images. Multi-language integration and access to some powerful Business Web Apps like customer reviews and appointment scheduling are also available. 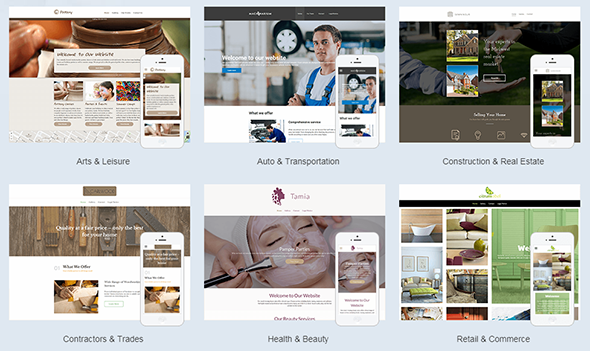 Now that you know what 1&1 offers, let’s get into more depth with their website builder, and the first thing you look for in a website builder is the templates gallery. Fortunately, MyWebsite site builder has plenty of free templates to choose from and customize via the easy to use drag and drop interface. 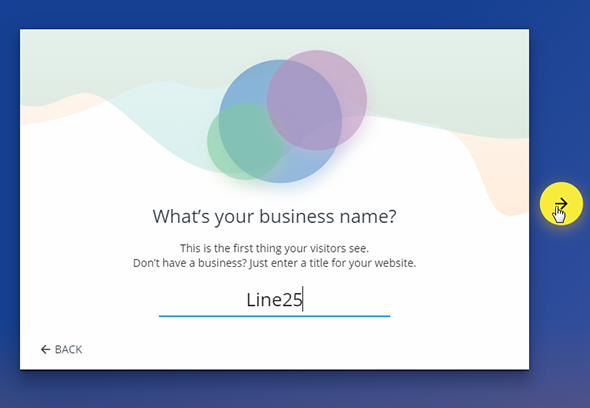 There are thousands of customizable design templates and versatile business web apps, along with images and texts suggestions. Here are some of the categories you will find: arts and leisure, auto and transportation, construction and real estate, contractors and trades, health and beauty, personal sites, professional services, restaurants and tourism, retail and commerce, and more. 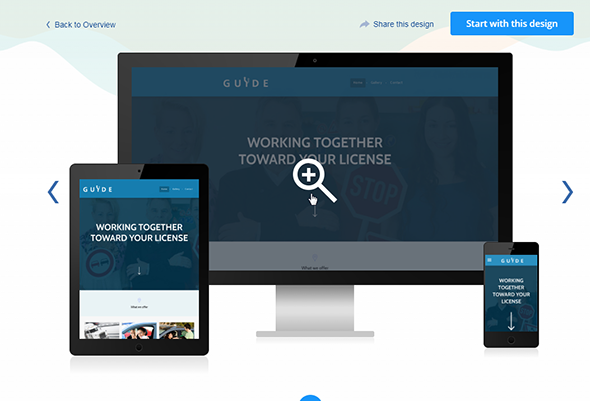 These templates can be used with all popular Content Management Systems such as Typo3, WordPress or Joomla. These templates are easily translatable and come with plenty of images and graphics you can use. 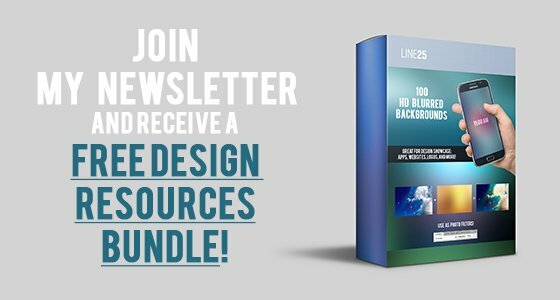 These templates are exclusive for the MyWebsite product and they are not free templates. The whole setup process is extremely easy to follow. Check out the onboarding process below. 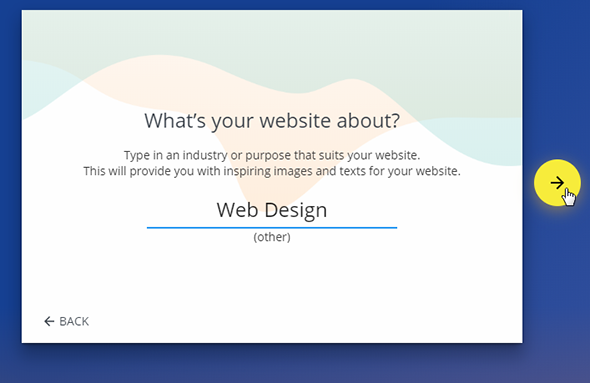 All you have to do is insert your website title, your business category, and then proceed to the customization panel. 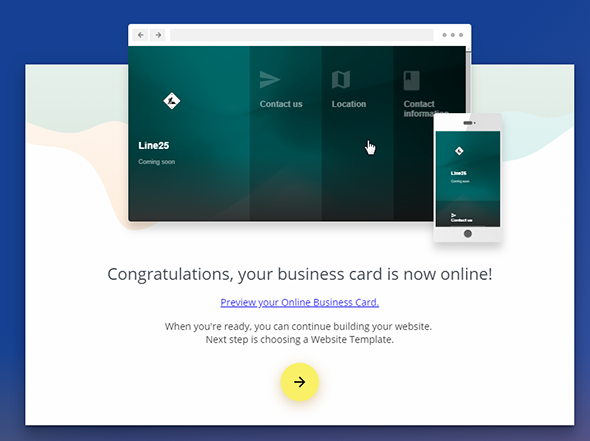 This is the place where you edit your online business card. 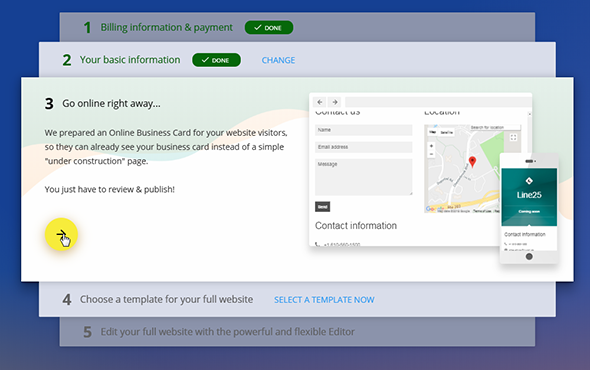 Once you’ve finished editing the business card details, you can proceed to choose a website template for your site. There’s an easy to use onboarding process for this step as well, so if it’s the first time using the builder, make sure you go through it. The website editor is intuitive and allows you to place and move elements quickly and easily on your webpage. Check out below all the tabs and options the Left Panel offers you. you can pretty much customize every aspect of your site from the options panel. By using the Drag & Drop function, you can customize your own template with your favorite widgets, apps, colors, and fonts. The templates are highly versatile. It also offers the possibility of editing your high-quality images – including cropping, rotating, or adding effects, thus not needing a design software for these tasks. 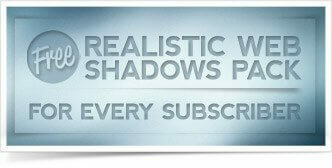 Additionally, you can integrate videos into the website templates with no effort whatsoever! When creating a website with the 1&1 MyWebsite site builder, you will use the WYSIWYG Editor, which translates to “What You See Is What You Get”. This means you don’t need any coding knowledge, as the interface is intuitive and easy to use even by someone who isn’t a web designer. Use the editor in order to edit the texts you want to place on your website, edit the images, and more. If you have an international audience you can use the integrated Google translator, perfect for a multilingual website. You can translate your website content in 60 languages! You can also use web apps for various purposes. You can connect your site to all major social media networks, including Twitter, Facebook, Instagram, and Tumblr. No need for an external email marketing services, as you can keep your visitors updated with the integrated newsletter tools. Also, the dashboard offers a general analytics panel where you can view all your page visits and comments at a glance. Creating your site is even easier with the text and image suggestions, so you will make a good impression from the start without spending a lot of money on copywriters. The Basic, Plus, and Premium packages all include access to a high-quality stock images library with over 20 million choices from many industries and fields. Some free stock images are also included in the plans. Web apps are powerful tools. You can even use them to integrate an interactive newsfeed, add PDFs, or PowerPoint documents to your site, link it to sales platforms like eBay and Amazon, and more. Use the web apps to add Opening hours, customer reviews, bookings, route planner, Live chat, blog, and more! Another great feature is the integrated newsletter tool in the Plus package. A user can select the location, device, time, and other options target a specific campaign or newsletter subscription. It’s very useful that you also get access to an email mrketing tool right from the dashboard of your account, without having to use any third-party services for this task. What do I need to create a website with MyWebsite site builder? First of all, you will need a plan. Check out the plan that is best for your needs, depending on how much resources you will need. A simple template is not enough, you will also need a domain, some storage space on a server and a CMS – Content Management System. All these are integrated into the plans you choose. So pick the plan you need and get your business online, today!